This entry was posted on October 22, 2013 by Heather. 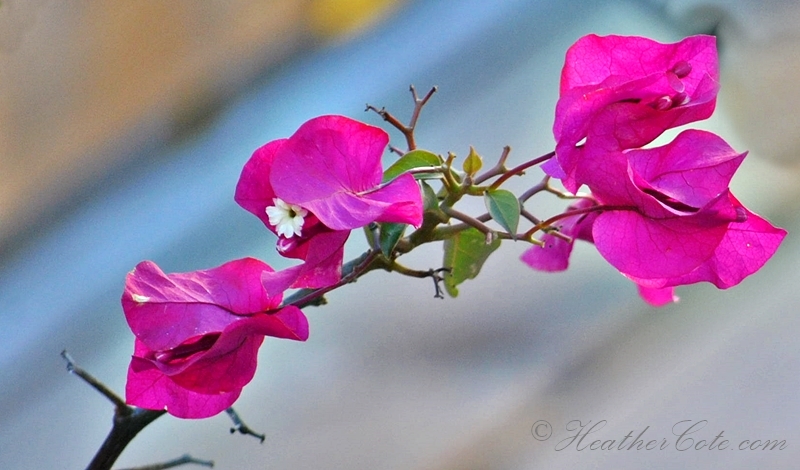 It was filed under north bay and was tagged with autumn, Bougainvillea, flower, fushia, Heather Cote Photography, leaves, North Bay, potted plant. What a coincidence AD…this bush is one of my favorites…hence the potted plant. I’m hoping next year to plant a large area with these…love them. 🙂 To be honest I’m surprised how long the flowers have held up…definitely hardy. And just such amazing colours. The thing I also like is that they seem to thrive on neglect.